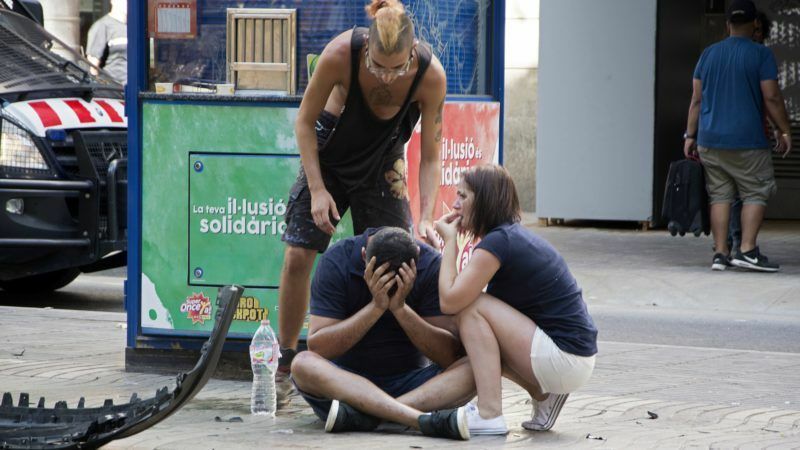 A van ploughed into crowds of pedestrians on Barcelona’s most popular street in broad daylight yesterday (17 August), killing 13 people in an attack claimed by the Islamic State jihadist group. Hours later in Cambrils, a city 120 kilometres south of Barcelona, police said they shot dead “four suspected terrorists” and left another injured in a “possible terrorist attack”. The incident in Cambrils took place in the early hours of Friday (18 August), but police gave no further details, nor did they mention whether the shooting was linked to the Barcelona attack. Police said Thursday that one of the arrested suspects was a Spaniard born in Melilla, a Spanish territory on Morocco’s north coast, and the other a Moroccan named as Driss Oukabir. On Thursday, the Radicalisation Awareness Network, created by the European Commission, warned that between 1,200 and 3,000 Europeans who lived with and fought for IS in Iraq and Syria could return home.